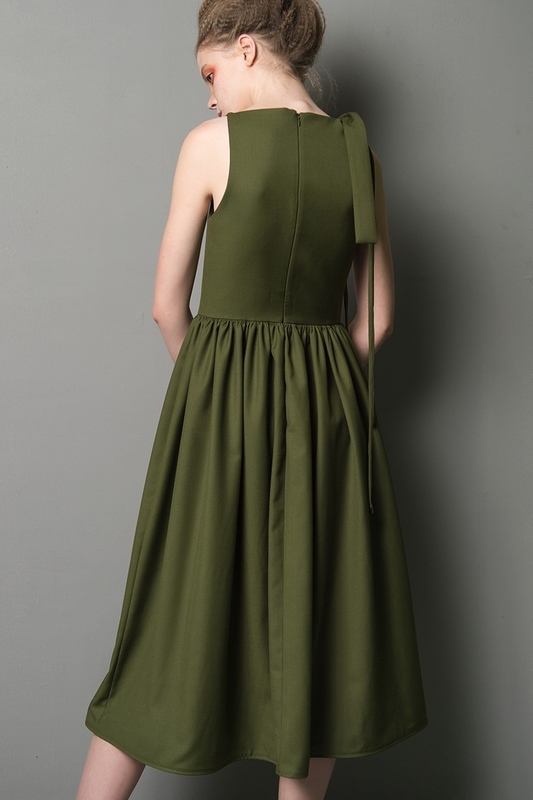 Charcoal dress is detailed with cut-out and defined waist that falls to a swishy knee-length skirt. 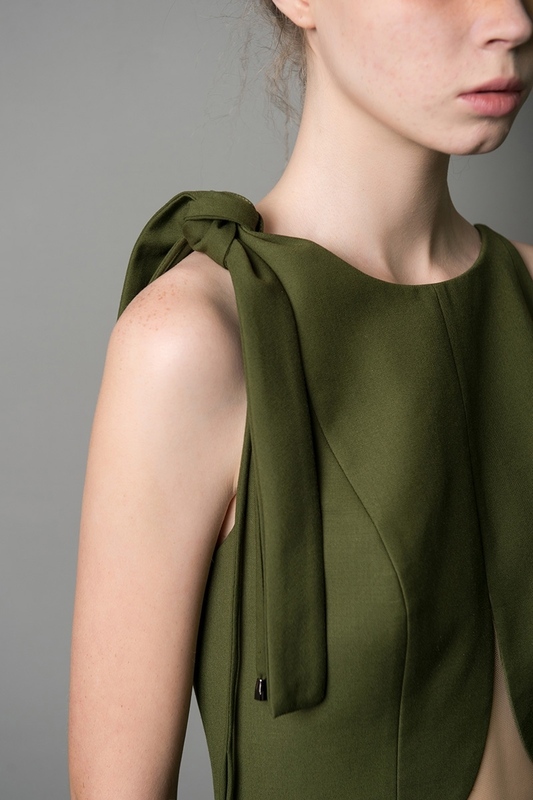 One side ribbon detail in one shoulder to add feminine touch. Style yours with metallic shoes. Pair with minimal accessories.